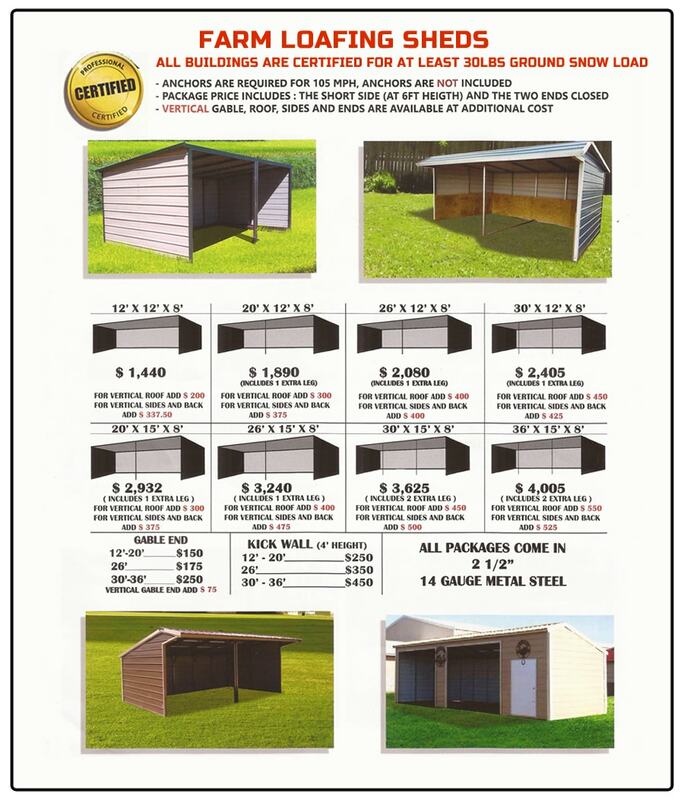 Metal Loafing Sheds from All Steel Northwest provide great weather protection for your animals, feed, and equipment during all four seasons. All corners are covered to protect your livestock. All Steel Northwest products feature durability of steel with the added resistance to fire, termites, weathering, and rot. Sloped design allows for greater rain and debris run off. Customize your Metal Loafing shed to meet the specific needs of your livestock, feed, and equipment.